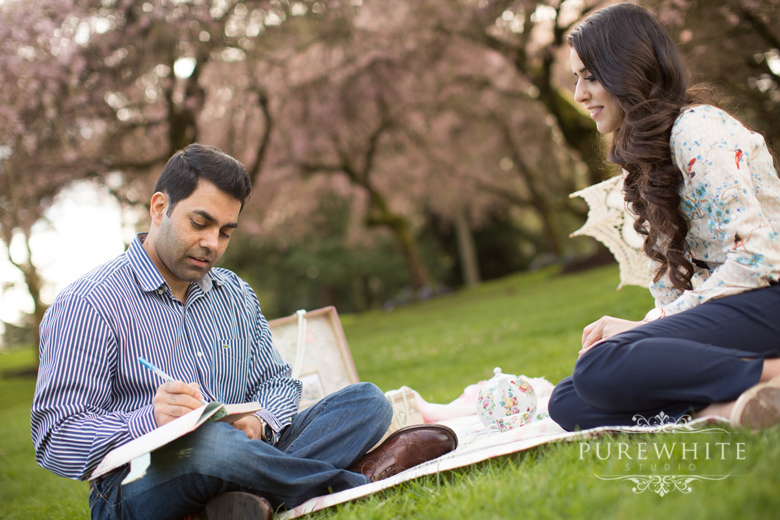 It was a beautiful day for a romantic "picnic" at the VanDusen Botanical Garden, in Vancouver. 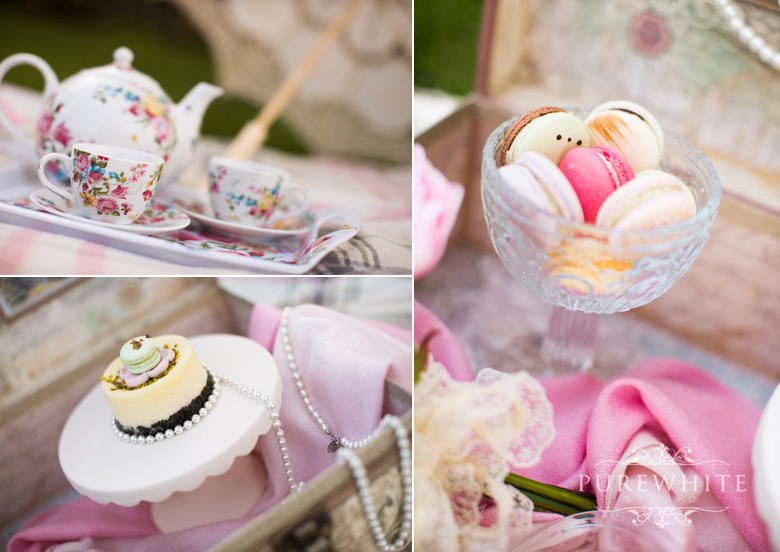 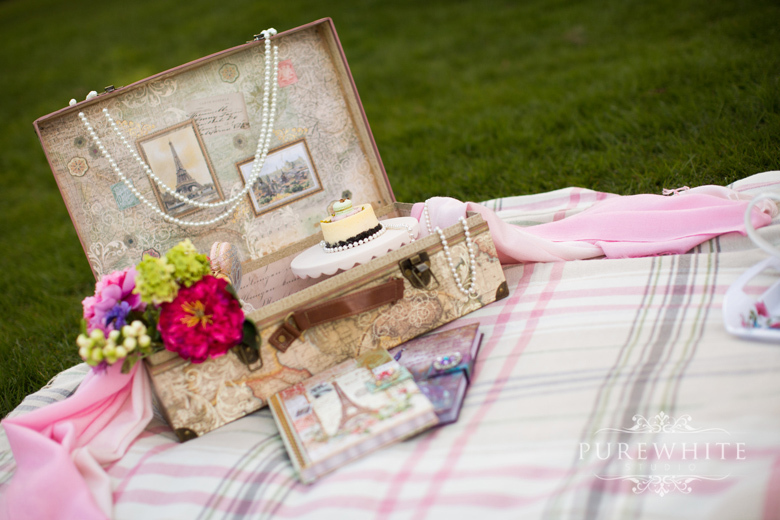 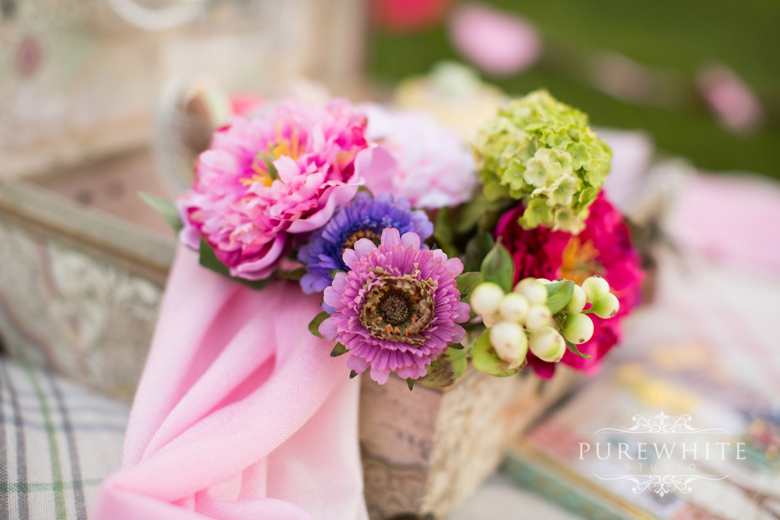 During the day, Sahar and Sean had a vintage inspired engagement shoot with creative props - shades of pink hearts, floral tea cups to macrons. 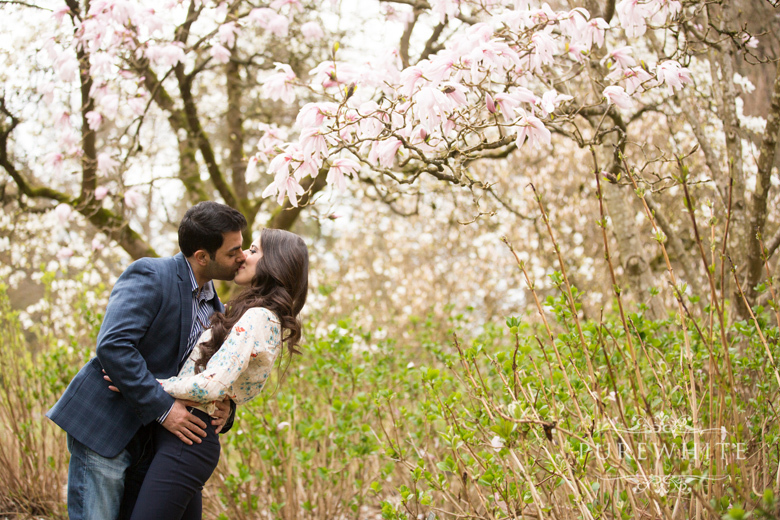 Venturing into the park, we found some Cherry Blossoms. 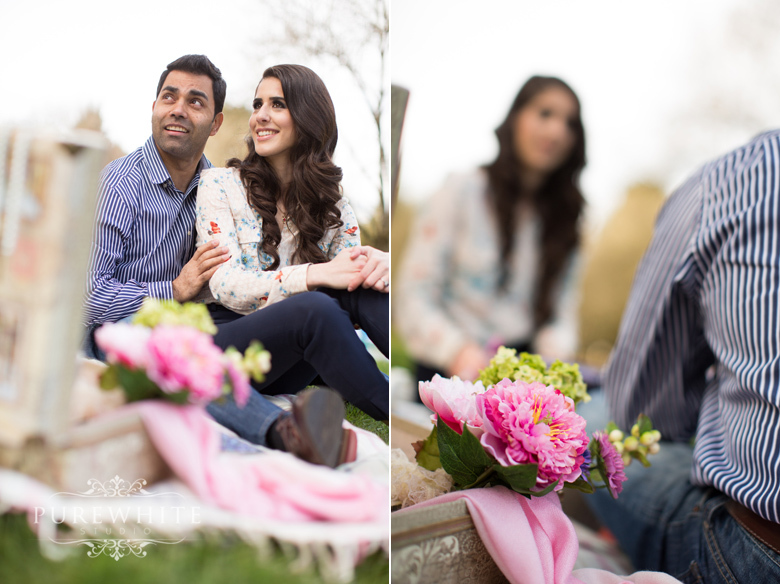 Luckily, they were in bloom! 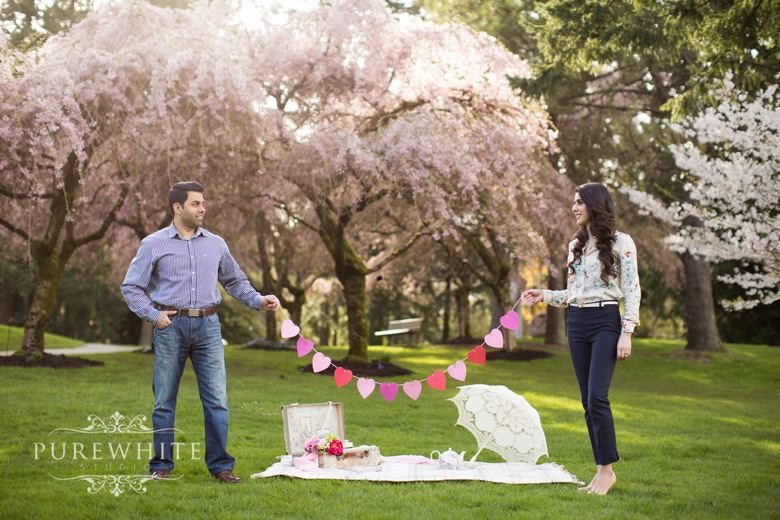 It was tons of fun, we loved all of their theme and they were full of ideas! 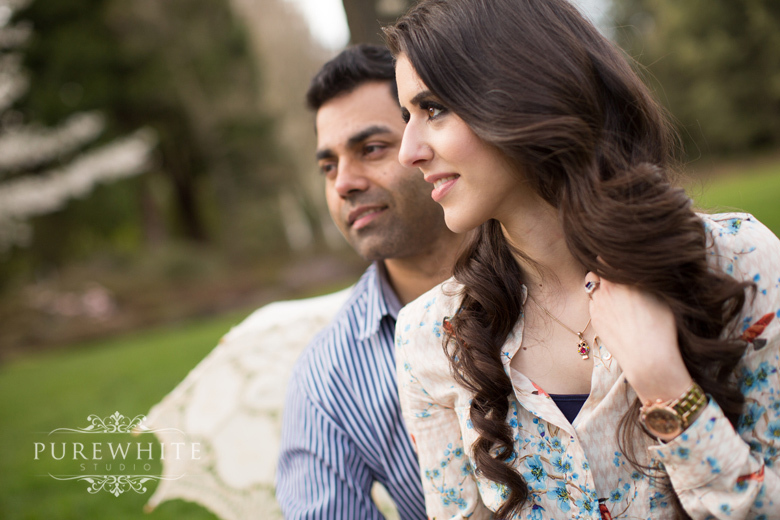 Before the day ended, we headed for Granville Island. 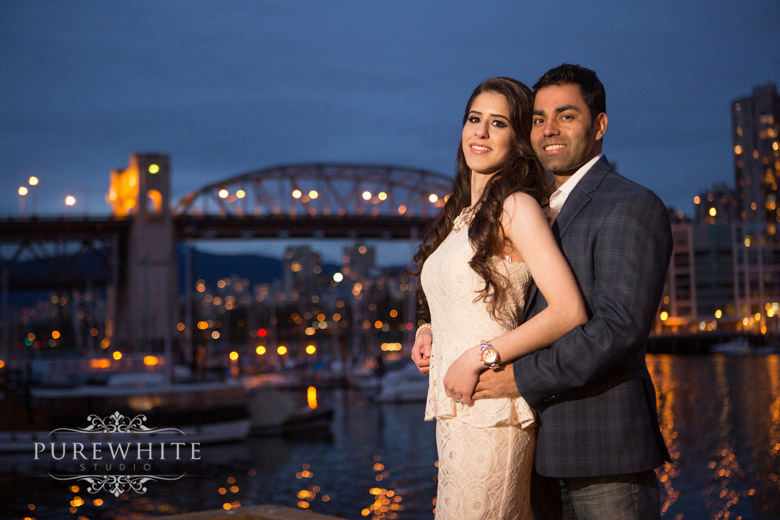 We found great photo ops around Bridges to top off the night with a few elegant night shots. 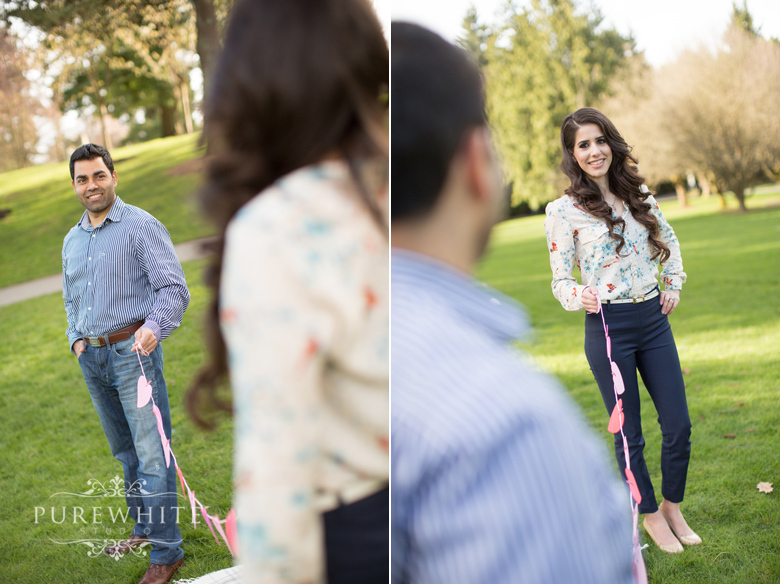 We had a incredible time, and were able to capture very unique shots for this cute couple. 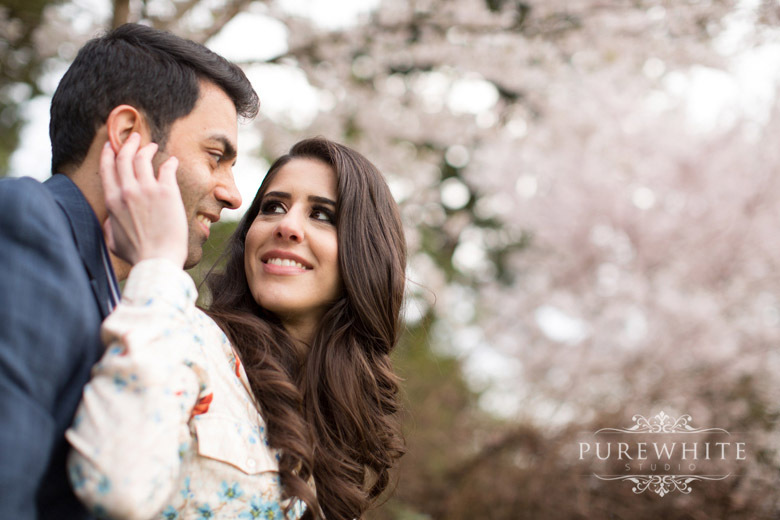 We are so excited to see what's in store for Sahar and Sean's wedding!